The influence of implanted yttrium on the cyclic oxidation behaviour of a 304 stainless steel. (F. RIFFARD, H. BUSCAIL, E. CAUDRON, R. CUEFF, C. ISSARTEL, S. PERRIER) Applied Surface Science, 252 (2006) 3697-3706. Influence of the mode of introduction of a reactive element on the high temperature oxidation behaviour of an alumina-forming alloy. Part III: The use of two stage oxidation experiments and in situ X-ray diffraction to understand the oxidation mechanism (S. CHEVALIER, C. ISSARTEL, R. CUEFF, H. BUSCAIL, G. STREHL, G. BORCHARDT) Materials and Corrosion, (2006) 57, 6, 476-483. Isothermal Oxidation Behaviour at 900°C of 304 Stainless Steel. (F. RIFFARD, H. BUSCAIL , E. CAUDRON , R. CUEFF , C. ISSARTEL, S. EL MESSKI, S. PERRIER) Surface Modification Technologies XVIII, Edited by T.S. Sudarshan, M. Jeandin and J.J. Stiglich, ASM International, Materials Park, Ohio and IOM Communications Ltd, UK, (2006), 417- 424. Nitridation effect on the oxidation of a chromia-forming steel at high temperature. (C. ISSARTEL, H. BUSCAIL , E. CAUDRON , R. CUEFF , F. RIFFARD, S. PERRIER, P. JACQUET, M. LAMBERTIN) Surface Modification Technologies XVIII, Edited by T.S. Sudarshan, M. Jeandin and J.J. Stiglich, ASM International, Materials Park, Ohio and IOM Communications Ltd, UK, (2006), 107- 112. Effect of the misch-metal (Ce-La) on the Cyclic Oxidation of a FeCrAl Alloy at High Temperature (1100°C-1300°C) (S. EL MESSKI, H. BUSCAIL , E. CAUDRON , R. CUEFF , F. RIFFARD, C. ISSARTEL, S. PERRIER) Surface Modification Technologies XVIII, Edited by T.S. Sudarshan, M. Jeandin and J.J. Stiglich, ASM International, Materials Park, Ohio and IOM Communications Ltd, UK, (2006), 347- 354. High Temperature Oxidation of Kanthal A1 Alumina Forming Alloy : Effect of Yttrium Ion Implantation on the oxide layer properties. (R. CUEFF , H. BUSCAIL , E. CAUDRON , F. RIFFARD, C. ISSARTEL, S. EL MESSKI) Surface Modification Technologies XVIII, Edited by T.S. Sudarshan, M. Jeandin and J.J. Stiglich, ASM International, Materials Park, Ohio and IOM Communications Ltd, UK, (2006), 99- 106. Effet de la dimension des échantillons de chrome sur la tenue à l'oxydation cyclique à hautes températures (800-1000°C). (H. BUSCAIL, Y.P. JACOB, R. CUEFF, C. ISSARTEL, F. RIFFARD, E. CAUDRON, S. PERRIER, O. POBLE) MATERIAUX 2006, DIJON (13-17 novembre 2006) DVD ROM pp 1-8. Caractérisation des oxydes formés à 1000°C sur l'acier 304 par diffraction des rayons X et Spectroscopie IR (N. KARIMI, H. BUSCAIL, E. CAUDRON, F. RIFFARD, F. RABASTE, R. CUEFF, C. ISSARTEL, S. PERRIER) MATERIAUX 2006, DIJON (13-17 novembre 2006). DVD ROM pp 1-11. Rôle du manganèse dans la protection contre la corrosion de l'acier 304 à haute température. (F. RIFFARD, H. BUSCAIL, E. CAUDRON, R. CUEFF, C. ISSARTEL, S. PERRIER, N. KARIMI) MATERIAUX 2006, DIJON (13-17 novembre 2006) DVD ROM pp 1-7. Effect of reactive element external doping on the oxidation of FeCrAl alloys at 1373 K. (R. CUEFF, H. BUSCAIL, E. CAUDRON, F. RIFFARD, C. ISSARTEL, S. PERRIER) MATERIAUX 2006, DIJON (13-17 novembre 2006) DVD ROM pp 1-8. Characterization of the Oxides Formed at 1000°C on the AISI 304 Stainless Steel by X-Ray Diffraction and Infrared Spectroscopy (N. KARIMI, F. RIFFARD, F. RABASTE, S. PERRIER, R. CUEFF, C. ISSARTEL, H. BUSCAIL) Applied Surface Science, 254, 8, (2008), 2292-2299. Characterization of the oxides formed at 1000°C on the AISI 316L Stainless Steel – Role of Molybdenum. ( H. BUSCAIL, S. EL MESSKI, F. RIFFARD, S. PERRIER, R. CUEFF, E. CAUDRON, C. ISSARTEL) Materials Chemistry and Physics (Elsevier), 111, 2-3 (2008) 491-496. Effect of Lanthanum Sol-Gel Coating on the Oxidation Behaviour of the AISI 304 Steel at 1000°C. (N. KARIMI, H. BUSCAIL F. RIFFARD, F. RABASTE, R. CUEFF, C. ISSARTEL, E. CAUDRON, S. PERRIER,) Materials Science Forum, 595-598 (2008) 733-741. The nitridation, a way to improve high temperature oxidation behaviour of AISI 304. (C. ISSARTEL, H. BUSCAIL, E. CAUDRON, R. CUEFF, F. RIFFARD, S. PERRIER, P. JACQUET, M. LAMBERTIN) Materials Science Forum, 595-598 (2008) 987-994. Yttrium implantation and manganese addition element effects on the high temperature oxidation resistance of a model steel. (E. CAUDRON, R. CUEFF, C. ISSARTEL, N. KARIMI, F. RIFFARD, S. PERRIER, H. BUSCAIL) Materials Science Forum, 595-598 (2008) 897-905. Manganese effect on the isothermal high temperature oxidation behaviour of AISI 304 stainless steel. (F. RIFFARD, H. BUSCAIL, F. RABASTE, E. CAUDRON, R. CUEFF, C. ISSARTEL, N. KARIMI, S. PERRIER,) Materials Science Forum, 595-598 (2008) 1127-1134. The effects of reactive element oxide coatings on the high temperature oxidation of FeCrAl alloys. (R. CUEFF, C.T. NGUYEN, H. BUSCAIL, E. CAUDRON, C. ISSARTEL, F. RIFFARD) Materials Science Forum, 595-598 (2008) 933-940. Role of Molybdenum on the AISI 316L oxidation at 900°C. 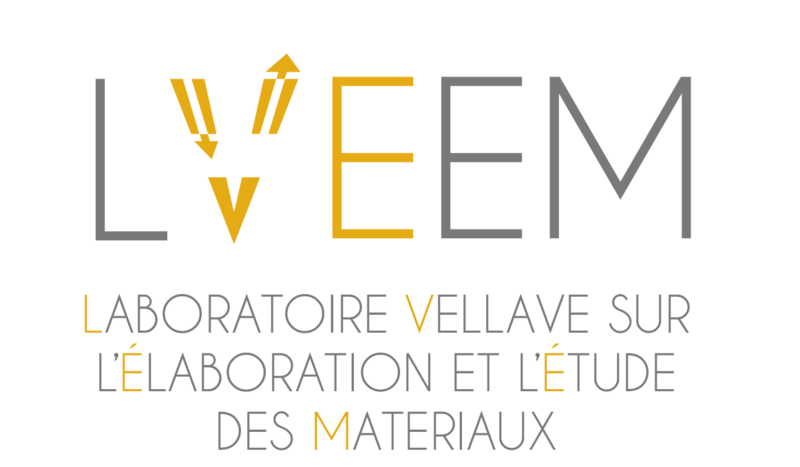 ( H. BUSCAIL, S. EL MESSKI, F. RIFFARD, S. PERRIER, R. CUEFF, C. ISSARTEL) Journal of Materials Science (Springer), 43 (2008) 6960-6966. The effect of reactive element oxide coating on the high temperature oxidation of FeCrAl alloys. (C.T. NGUYEN, R. CUEFF, H. BUSCAIL, E. CAUDRON, C. ISSARTEL, F. RIFFARD) Annales de Chimie Science des Matériaux, 33 (2008) 49-57. Influence of the La2O3 coating thermal annealing in argon on the alumina scale adherence at 1100°C. (C.T. NGUYEN, H. BUSCAIL, R. CUEFF, C. ISSARTEL, F. RIFFARD, S. PERRIER) Annales de Chimie Science des Matériaux, 33 (2008) 33-40. Analyse par diffraction des rayons X (DRX) de roches recueillies dans le département de la Haute Loire. H. BUSCAIL Le Zircon, 38 (2009) 26-31. Amélioration de la durée de vie des tapis tissés en 330Cb (Fe-35Ni-18Cr-1Nb-2Si) par pré-oxydation H. BUSCAIL, C. ISSARTEL, C.T. NGUYEN, A. FLEURENTIN Traitement thermique, 394 (2009) 31-39. Effect of the La2O3 sol-gel coating on the alumina scale adherence on a model Fe-20Cr-5Al alloy at 1100 °C. H. BUSCAIL, C.T. NGUYEN, R. CUEFF, C. ISSARTEL, F. RIFFARD, S. PERRIER Journal of Materials Science, (Springer) 44 (2009) 3968-3974. The Effect of Cerium Oxide Argon-Annealed Coating on the High Temperature Oxidation of a FeCrAl Alloy. C.T. NGUYEN, H. BUSCAIL, R. CUEFF, C. ISSARTEL, F. RIFFARD, S. PERRIER, O. POBLE Applied Surface Science, (Elsevier) 255 (2009) 9480-9486. Composition de quelques roches énigmatiques - Analyse par Diffraction des Rayons X (DRX). H. BUSCAIL Le Zircon, 39 (2010) 14-19. Intérêt de la pré-oxydation d’aciers réfractaires austénitiques. A. FLEURENTIN, P.F. CARDEY, H. BUSCAIL, C. ISSARTEL, S PERRIER, C. JOSSE. Traitement et Matériaux, 401 (2010) 25-30. Etude de l’influence de la carburation sur l’oxydation de l’alliage 330Cb (Fe-35Ni-18Cr-1Nb-2Si) à 900°C. H. BUSCAIL, C. ISSARTEL, C.T. NGUYEN, S. PERRIER, A. FLEURENTIN Matériaux et Techniques, 98, 3, (2010) 209-218. 330Cb alloy (Fe-35Ni-18Cr-1Nb-2Si) oxidation study between 800 and 1000°C. C. ISSARTEL, H. BUSCAIL, C.T. NGUYEN, A. FLEURENTIN Materials and Corrosion 61, 13 (2010) 929-938. Détermination de la composition minéralogique par diffraction des Rayons X d’échantillons d’argiles et d’arkoses. H. BUSCAIL Le Zircon, 40 (2011) 29-36. Effect of the AISI 316L Stainless Steel pre-oxidation at 800°C on its pitting corrosion resistance. H. BUSCAIL, S. EL MESSKI, F. RIFFARD, S. PERRIER, C. ISSARTEL Oxidation of Metals, 75 (2011) 27-39. Effects of water vapour on the oxidation of a Nickel-Base alloy between 900-1100°C H. BUSCAIL, R. ROLLAND, C. ISSARTEL, F. RABASTE, F. RIFFARD, L. ARANDA, M. VILASI. Journal of Materials Science 46 (2011) 5903-5915. Oxidation mechanism of the Inconel 601 alloy at high temperatures. H. BUSCAIL, S. PERRIER, C. JOSSE Materials and Corrosion 62, 5 (2011) 416-422. Oxidation mechanism in isothermal high temperature conditions of AISI 304 stainless steel at 800°C F. RIFFARD, H. BUSCAIL, F. RABASTE, R. CUEFF, C. ISSARTEL, S. PERRIER Corrosion Engineering Science and Technology 46, 4 (2011) 562-567. Effects of 7.5 vol.% water vapour on the oxidation of a Nickel-Based alloy between 900-1100°C R. ROLLAND, C. ISSARTEL, S. PERRIER, H. BUSCAIL Corrosion Engineering Science and Technology 46, 5 (2011) 634-641. Water vapour effect on Ferritic 4509 steel oxidation between 800 and 1000°C C. ISSARTEL, H. BUSCAIL, WANG YI, R. ROLLAND, M. VILASI, L. ARANDA Oxidation of Metals, 76 (2011) 127-147. Effect of lanthanum sol gel coating on the 330Cb (Fe-35Ni-18Cr-1Nb-2Si) alloy oxidation at 900 °C H. BUSCAIL, C. ISSARTEL, F. RIFFARD, R. ROLLAND, S. PERRIER, A. FLEURENTIN, C. JOSSE Applied Surface Science 258 (2011) 678-686. Influence of water vapour on a Nickel-Based alloy oxidation. H. BUSCAIL, R. ROLLAND, C. ISSARTEL, F. RIFFARD, F. RABASTE, S. PERRIER Defect and Diffusion Forum, 323-325 (2012) 309-314. Effet des dépôts sol gel de lanthane sur l’oxydation de l’alliage 330Cb (Fe-35Ni-18Cr-1Nb-2Si) à 900 °C H. BUSCAIL, C. ISSARTEL, S PERRIER, A. FLEURENTIN, P.F. CARDEY, C. JOSSE. Matériaux et Techniques, 100 (2012) 21-34. Pierre d’Aigle ou Aétite, le mystère de la formation de ces roches s’éclaircit. H. BUSCAIL Le Zircon, 41 (2012) 10-15. Influence of water vapour on isothermal and thermal cyclic oxidation conditions of a Nickel-Based SY625 steel at 1100°C. R. ROLLAND, H. BUSCAIL, C. ISSARTEL, F. RIFFARD, F. RABASTE, S. PERRIER Defect and Diffusion Forum, 323-325 (2012) 333-338. Optimisation de la durée de vie de l’acier réfractaire 330Cb sous atmosphère carburante et réductrice. A. FLEURENTIN, H. BUSCAIL, C. ISSARTEL, R. ROLLAND, F. RIFFARD. Traitement et Matériaux, 416 (2012) 25-31. Oxidation of a cobalt-base superalloy at high temperatures (800 - 1100°C) H. BUSCAIL, F. RIFFARD, C. ISSARTEL, S. PERRIER Corrosion Engineering Science and Technology, 47, 6, (2012) 404-410. Effect of Phosphoric Acid Ttreatment On Isothermal High Temperature Oxidation Behaviour of AISI 304 Stainless Steel at 800 °C. F. RIFFARD, H. BUSCAIL, F. RABASTE, C. ISSARTEL, S. PERRIER Defect and Diffusion Forum, 323-325 (2012) 359-364. Influence of various gaseous environments on SiO2 formation on the 330Cb (Fe-35Ni-18Cr-1Nb-2Si) alloy at 900 °C. H. BUSCAIL, C. ISSARTEL, F. RIFFARD, R. ROLLAND, S PERRIER, A. FLEURENTIN. Corrosion Science , 65 (2012) 535-541. Effect of various gaseous environments on the high temperature oxidation of the SY625 nickel base superalloy. R. ROLLAND, H. BUSCAIL, C. ISSARTEL, S PERRIER. Proceedings of the 8th HTCPM (20-25th May 2012) Text 24, Les EMBIEZ France. Phosphoric acid and Lanthanum Effects on Isothermal High Temperature Oxidation Behavior of EN-1.4301 Stainless Steel. F. RIFFARD, H. BUSCAIL, S. PERRIER, Proceeding of Surface Modification Technologies XXVI Edited by T.S. Sudarshan, Micheal Jeandin and Vincent Firdirici, (2012), 1-10. Influence of water vapor on high temperature oxidation of alumina-forming materials. H. BUSCAIL, S. CHEVALIER, J.P. LARPIN, D. MONCEAU, F. PEDRAZA, K. PRZYBYLSKI, A. ROUAIX-VANDE PUT. Materials Science Foundations, 76 (2013) 27-46. Tools for Studying Water Vapor et High Temperatures. P. BERGER, G. BONNET, H. BUSCAIL, S. CHEVALIER, H. EVIN, L. FAVERGEON, O. HEINTZ, C. ISSARTEL, V. JI, L. MARTINELLI, D. OQUAB, J.P. PETIT, M. PIJOLAT, S. PERRIER, O. POLITANO, I. POPA, N. PRUD’HOMME, F. RABASTE, F. RIFFARD, Y. WOUTERS. Materials Science Foundations, 76 (2013) 130-188. Cobalt Based Alloy Cyclic Oxidation at High Temperatures. H. BUSCAIL, R. ROLLAND, F. RIFFARD, C. ISSARTEL, S. PERRIER CERAMIKA/CERAMICS vol. 115, (2013) 79-88. Influence of lanthanum coating on a model 330 alloy (Fe-35Ni-18Cr-2Si) oxidation at high temperature. H. BUSCAIL, C. ISSARTEL, F. RIFFARD, R. ROLLAND, S PERRIER, A. FLEURENTIN, Oxidation of Metals, 81 (2014) 127-138. Lanthanum Effect on Isothermal High Temperature Oxidation Behaviour at 1000°C of a Phosphoric acid-treated AISI 304 Stainless Steel. F. RIFFARD, H. BUSCAIL, S. PERRIER, Oxidation of Metals, 81 (2014) 191-201. Cyclic oxidation of AISI 316L stainless steel - influence of water vapour between 800 and 1000°C H. BUSCAIL, R. ROLLAND, S. PERRIER, Corrosion Engineering Science and Technology, 49, 6 (2014) 169-179. Influence of water vapour on the oxidation of a cobalt-base superalloy at high temperatures (800-1100°C) H. BUSCAIL, R. ROLLAND, C. ISSARTEL, S. PERRIER, F. RIFFARD, Oxidation of Metals, 82 5-6 (2014) 415-436. Influence of water vapour on the 316L oxidation at high temperature - in situ X-ray diffraction. H. BUSCAIL, R. ROLLAND, S. PERRIER Annales de Chimie Science des Matériaux 39, 3-4 (2015) 107-114. Influence of water vapour on the Zircaloy-4 oxidation at high temperature – Stress determination by in situ X-ray diffraction. H. BUSCAIL, R. ROLLAND, C. ISSARTEL Annales de Chimie Science des Matériaux 39, 3-4 (2015) 115-122. Effect of NaOH coatings on the 330Cb alloy oxidation at 900 °C. Advances in Chemistry Research. Volume 25 Chapter 4. Ed. J.C. Taylor. H. BUSCAIL, C. ISSARTEL, F. RIFFARD, R. ROLLAND, C. COMBE, P.-F. CARDEY. Nova Science Publishers Inc., ISBN : 978-1-63482-242-8 - Chapitre 4, (2015) pp 79-96. Amélioration de la durée de vie des tapis de fours de traitements thermiques en AISI 330Cb par un traitement de pré-oxydation – application industrielle. C. COMBE, P.F. CARDEY, H. BUSCAIL, C. ISSARTEL, F. RIFFARD, R. ROLLAND. Traitement et Matériaux 439 (2016) 21-26. Pre-oxidation treatment to increase the service life of heat treatment furnace conveyor belts made of 330Cb. Industrial application. C. COMBE, PF. CARDEY, H. BUSCAIL, C. ISSARTEL, F. RIFFARD, R. ROLLAND Proceeding of the 23rd IFHTSE Congress, held in Savannah, Georgia, USA, April 18-22, (2016) 139-145. Process for producing a pre-Ceramic Polymer coating with highly efficient protection against high-temperature corrosion of a commercial AISI 304 Stainless Steel. F. RIFFARD, E. JOANET, H. BUSCAIL, R. ROLLAND, S. PERRIER. Proceeding of the EUROCORR 2016 Montpellier (11-15 septembre 2016). Influence of water vapour on the Zircaloy-4 oxidation at 500 and 700°C – Stress determination by in situ X-ray diffraction, Raphaël ROLLAND, Henri BUSCAIL, Christophe ISSARTEL, Oxidation of Metals, 87 (2017) 491-500. DOI 10.1007/s11085-016-9709-x. Influence of Sodium Hydroxide on the austenitic 330Cb alloy oxidation at high temperature. H. BUSCAIL, C. ISSARTEL, F. RIFFARD, R. ROLLAND, C. COMBE, P.-F. CARDEY Oxidation of Metals, 87 (2017) 837-849. DOI 10.1007/s11085-017-9722-8. Beneficial Effect of pre-ceramic polymer coating on the protection at 900°C of a commercial AISI 304 Stainless Steel. F. RIFFARD, E. JOANET, H. BUSCAIL, R. ROLLAND, S. PERRIER Oxidation of Metals, 88 (2017) 211-220. DOI 10.1007/s11085-016-9705-1. Yttrium effect as alloying element on the oxidation at 1100°C of a model alumina-forming alloy. C. ISSARTEL, H. BUSCAIL, S. CHEVALIER, J. FAVERGEON, Oxidation of Metals, 88 (2017) 409-420. DOI 10.1007/s11085-017-9750-4. Influence de la vapeur d'eau sur l'oxydation du Zircaloy-4 à 500 °C. H. BUSCAIL, R. ROLLAND, C. ISSARTEL, S. PERRIER. Traitements et Matériaux 446 (2017) 29-38. The influence of water vapor on growth stresses developed during the zircaloy-4 oxidation between 500 and 850°C. Advances in Chemistry Research. Volume 40. Chapter 3. Ed. J.C. Taylor. H. BUSCAIL, C. ISSARTEL, R. ROLLAND, F. RABASTE, S. PERRIER; O. POBLE, F. RIFFARD. Nova Science Publishers Inc., ISBN : 978-1-53612-791-1 - Chapitre 3, (2017) pp 105-139. Stress determination by in situ X-ray diffraction - Influence of water vapour on the Zircaloy-4 oxidation at high temperature. H. BUSCAIL, R. ROLLAND, C. ISSARTEL, S. PERRIER, L. LATU-ROMAIN. Corrosion Science 134 (2018) 38-48. Ziracloy-4 high temperature oxidation in atmospheres representative of SFP-LOCA: Investigation of the influence of a low temperature pre-oxidation scale. C. DURIEZ, O. COINDREAU, M. GESTIN, A. KASPERSKI, V. PERES, M. PIJOLAT, H. BUSCAIL, C. ISSARTEL, R. ROLLAND, M. MERMOUX. Journal of Nuclear Materials, 513 (2019) 152-174. (PRESENTATION par Affiche par F. RIFFARD) 19th International SOL-GEL Conference 2017 LIEGES (3-8 septembre 2017). Détermination des contraintes par diffraction des rayons X in situ – Influence de la vapeur d'eau sur l'oxydation du Zircaloy-4 à 500 °C. Henri Buscail, Raphaël Rolland, Christophe Issartel, Sébastien Perrier. (PRESENTATION Orale par H. BUSCAIL). Colloque Contraintes Résiduelles - A3TS (Association du Traitement Thermique et du Traitement de Surface) 2 et 3 février 2017 SAFRAN PARIS SACLAY. Rôle de la vapeur d'eau sur l'oxydation du Zircaloy-4. Détermination des contraintes de croissance par diffraction des rayons X in situ. Henri Buscail, Raphaël Rolland, Christophe Issartel, Olivier Poble, Françoise Rabaste, Sébastien Perrier. JA 2017 SF2M – 23-25 octobre 2017 Villeurbanne. IInfluence de la vapeur d'eau sur l'oxydation du Zircaloy-4 à 500°C. Détermination des contraintes de croissance par diffraction des rayons X in situ. Henri Buscail, Raphaël Rolland, Christophe Issartel. (PRESENTATION Orale par H. BUSCAIL). JECH-49 – 29-30 mars 2018 DIJON. Henri Buscail, C. Issartel, F. Riffard, R. Rolland (PRESENTATION Orale par H. BUSCAIL – Keynote Invitée). JCAT-49 – 23-25 mai 2018 Saint Etienne. European Federation of Corrosion Workshop, Frankfurt am Main, 26-28 septembre 2018. MATERIAUX 2018 ref 2018-1681 Strasbourg (19-23 novembre 2018). MATERIAUX 2018 ref 2018-1690 Strasbourg (19-23 novembre 2018).